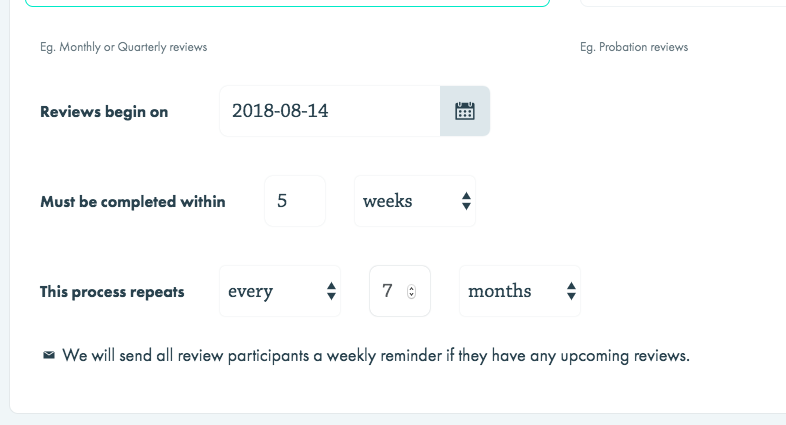 You can change when your next review happens and how often, by editing the review type. On the ‘Details’ step make changes to the schedule. On the last step of the flow, select ‘Save changes’. The changes you made will set when reviews of this type will be created next.